CivilWarLand in Bad Decline: Stories and a Novella. First edition of Saunders’ acclaimed first book. Octavo, original half cloth. Boldly signed by the author on the title page with a small doodle. A review copy with the slip laid in, fine in a fine dust jacket. Jacket design by Andy Carpenter. 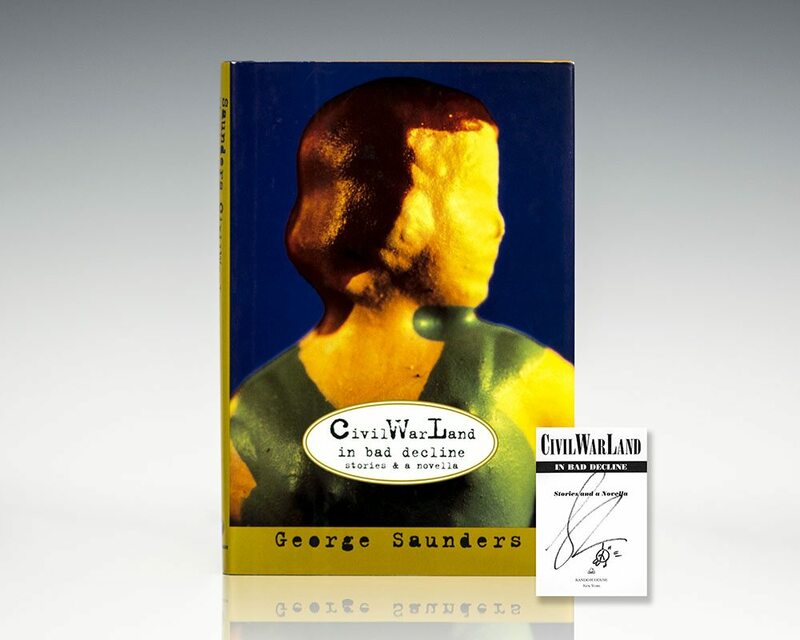 Since its publication in 1996, George Saunders’s debut collection has grown in esteem from a cherished cult classic to a masterpiece of the form, inspiring an entire generation of writers along the way. In six stories and a novella, Saunders hatches an unforgettable cast of characters, each struggling to survive in an increasingly haywire world.